Have you heard of Michael Edwards? I hadn’t either until I began researching perfume. 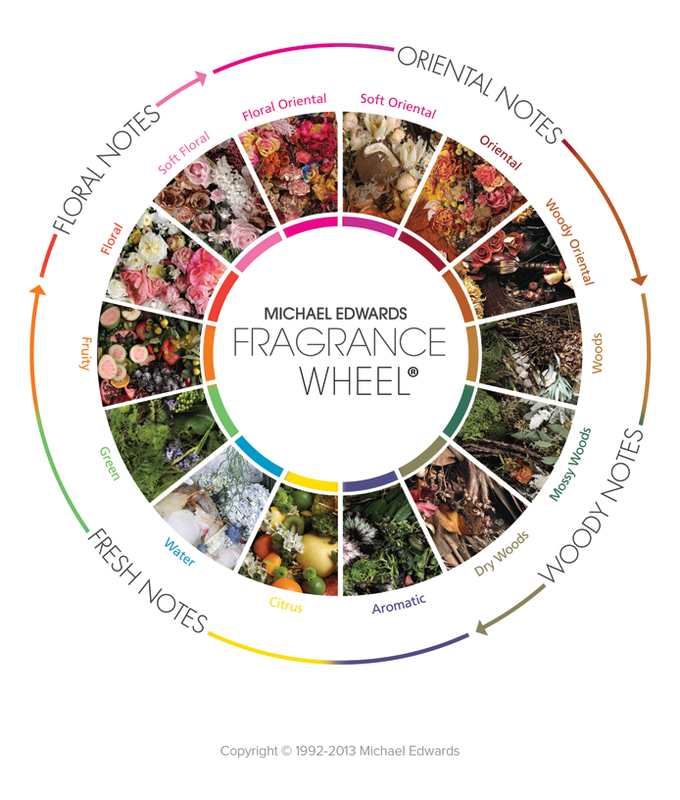 Michael Edwards, according to his website fragrancesoftheworld.com is a “Fragrance expert, author and erudite industry ambassador” and “has made many significant contributions to the fragrance industry over the past three decades”. His Fragrances of the World guidebook is known as “The Fragrance Bible”. He has an encyclopedic online database Fragrancesoftheworld.info and is the inventor of the industry respected Fragrance Wheel. What is the fragrance wheel? It is simply a way to group fragrances according to how they smell. It organizes fragrances by their dominant accords. It was created in 1983. The fragrances on the wheel hold the key to peoples likes and dislikes because each family has a characteristic scent whose personality is reflected in its fragrances. There are four major families defined by perfumers – Floral, Oriental, Woody and Fresh. These four groups are subdivided further into Soft Floral, Floral, Fruity, Green, Water, Citrus, Aromatic Fougere, Dry Woods, Mossy Woods, Woods, Woody Oriental, Oriental, Soft Oriental and Floral Oriental. Do you know what fragrance family you love the most? According to Michael Edwards, the fragrances you most enjoy will probably belong to just one or two fragrance families. I love floral. What about you?